CrossFit Open WOD 17.5 is done, which means the 2017 is done! I’m still at a loss as to whether the Open went quickly or too slow this year. Either way it’s done and we can resume a little bit of normalcy around here. Even though it probably sounds crazy to outsiders, the Open is a little stressful. While it isn’t much volume tacked onto what I normally do. It is that one workout in the week where you leave absolutely nothing in the tank and push yourself further than you would on any other day. Yeah, I know a lot of us say we do that every day, but it’s different when there’s something on the line like a major benchmark workout and any eyes on you. That’s the part I definitely don’t miss. 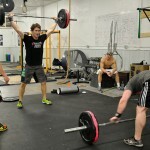 So let me recap CrossFit Open WOD 17.5, and then we’ll get into what’s next for my training! So wow. 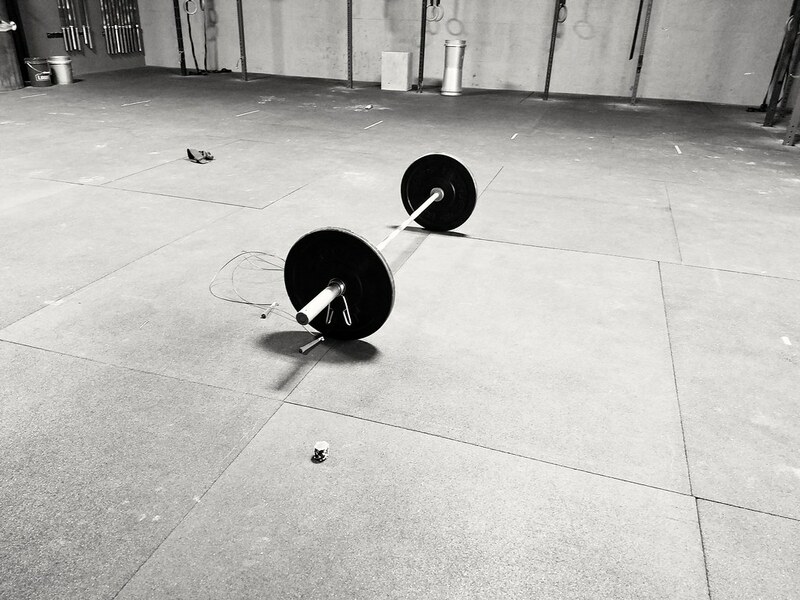 We kind of knew there would be thrusters and double-unders in this workout because they hadn’t yet appeared on the menu, but I didn’t think they’d be the only things on the menu in what has to be one of the simplest workouts in the history of the Open (especially compared to CrossFit Open WOD 17.3). 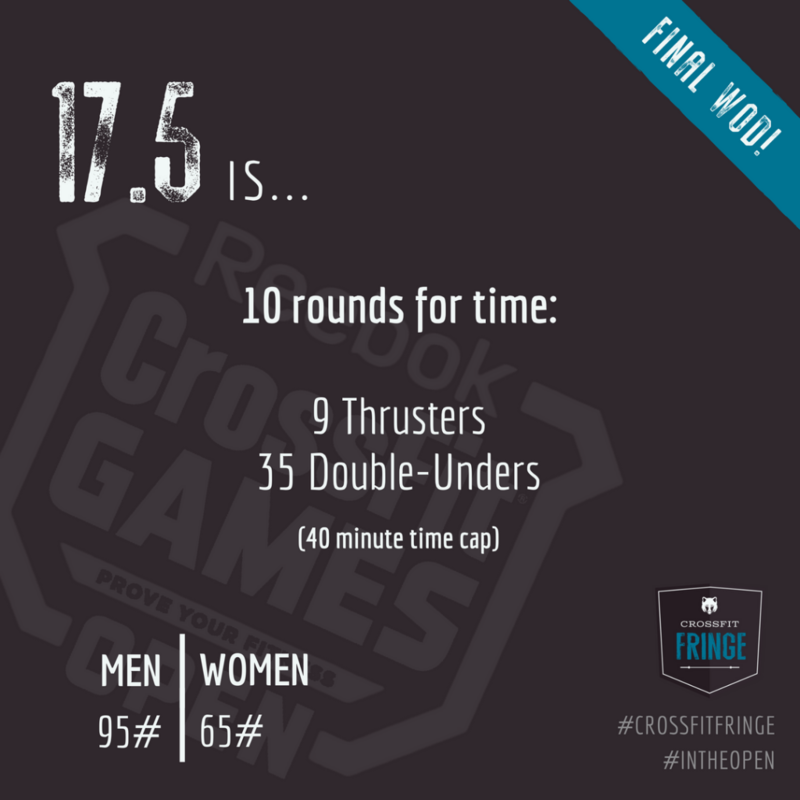 How did CrossFit Open WOD 17.5 go? 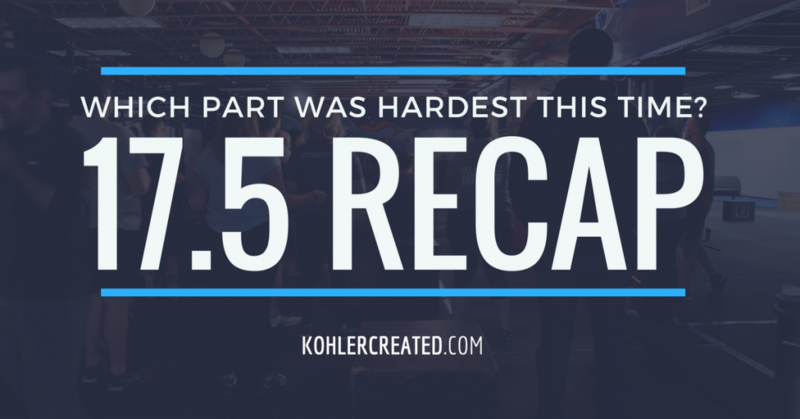 When I rolled out my recap post last week, I was kind of feeling like I wanted to do this workout in a small group and really just enjoy it (ha, I know). Typically our box goes BIG event for the first and last Open Workouts and while it’s fun, I never feel great about the actual workout, just hanging out with my friends. 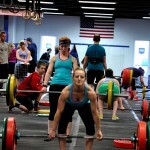 I never warm up well, it’s crowded, and my double-unders always falter in a crazy-full room. I kept coming back to the idea that I wanted to do all 10 rounds with unbroken movements, that doing so would be my feeling of success for this workout. So that’s what I ended up doing. Grabbed my friend/coworker Fresa and someone else who couldn’t get in a heat at the big event, as well as a new member who was completing her very first Open workout, and we went to the other location and did the thing. Almost unbroken. Darn my rope hitting my water bottle in the 10th round. BOO HISS! I’m just so proud of my double-unders. They’d been so hard to really “get back” after having a kid and I did them all unbroken. We even had them in Tuesday’s programming and I almost did all those (50 reps at a time) unbroken. I just love that 5.5 years in and at 35 years old, I’m still getting better. 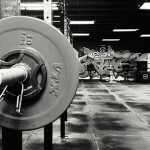 There is something magical about putting your barbell in the middle of the room. Despite that and having to kind of coach and be in charge, I finished in 14:06. I definitely think I could have pushed harder, but meh lol. I did the thing. 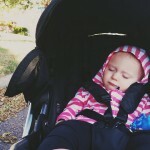 And had energy to go home and enjoy books and movies with my kiddo. So what’s next on the menu? Angelo already has us hitting the ground running on our next programming cycle. I just did a little write-up on it for our newsletter, so let me just steal it (verbatim) for my own blog. 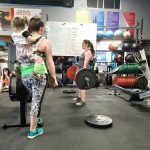 For us at Fringe, we believe the off season is a time to build strength and power before prepping and building the aerobic systems for the typical tests we see “in season” during the open. Using that as a guiding principle, he’s starting our cycle with some interval weight training (yay barbells!). We’ll be doing submaximal lifts that will get our heart rates high because of the load, then have an all out effort on the bike (lactate work) which will essentially create a death spiral in which we literally die trying to lift/move a barbell for 5 reps because our legs are just blown up. You can see a little capture of something in the realm of this from last year on my Instagram. I still remember it vividly from last year. Sounds lovely right? There’s rest after these sets, but he puts in there so I have no excuse but try to complete all the sets as hard/fast as possible. Going for full intensity, and I will most likely look like those goats that pass out. He’s also programmed prep for “Murph“, which will be coming up at the end of May. The approach is using both interval style formats and continuous movements, depending on the week. The idea is to prep our systems and muscles to complete high volume gymnastics/running/odd object carry exercise at our peak ability. I like that we hit the ground running right after the Open. I think the Open can leave a lot of people not knowing what to do or how to get there, and that can cause a lot of demotivation. We have a good balance of things heading into the off-season to work with, and I’m excited that they are both gymnastic and olympic. How did #17point5 go for you? Where is your training taking you next, and have you set some goals for yourself?